GOES-S will provide vastly improved monitoring of storms, wildfires, and volcanic ash plums over the Pacific Ocean and the western United States. 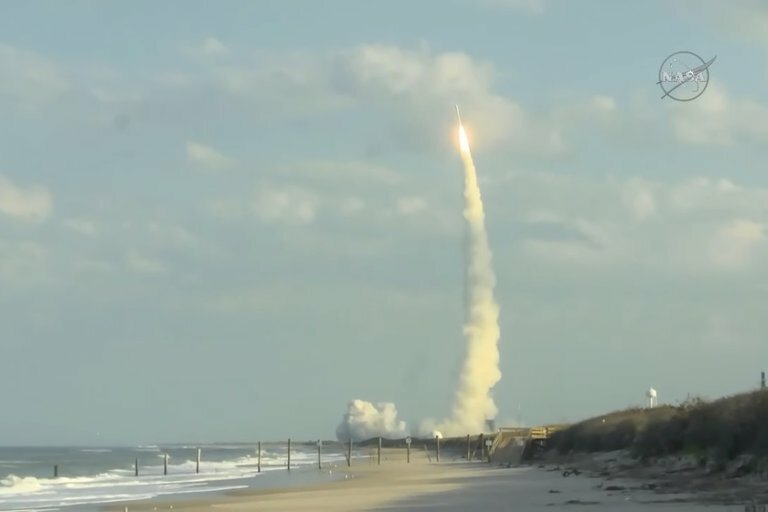 A powerful new weather satellite launched March 1 from Cape Canaveral Air Force Station in Florida, heading toward a perch above the eastern Pacific Ocean to monitor extreme weather as it develops. The satellite, called GOES-S (Geostationary Operational Environmental Satellite-S), lifted off on ULA's Atlas V rocket at 5:02 p.m. EST (2202 GMT). "GOES-S will provide more accurate data with higher temporal resolution to track storm systems, lightning, wildfires, the coastal fog, [and] volcanic ash plumes that impact the western US, Alaska, Hawaii, and the coastal to eastern Pacific ocean," Louis Uccellini, director of the National Weather Service at NOAA, said during a news conference on February 27. "There are unique aspects of these intense Pacific storms that we'll be able to observe more accurately and use in our forecast process." "I believe very strongly GOES-S will improve the scientific understanding for the western US, just like GOES-East has for the eastern US, and is another step forward in our overall effort to build a weather-ready nation," Uccellini added. The current GOES-East satellite launched in 2016, and it has provided views of developing weather in unprecedented detail. NOAA used GOES-East to track hurricanes Harvey, Irma, Maria , and more, as well as January's bomb cyclone and other extreme weather events, including wildfires developing in northern Texas. The new GOES-S will be at a vantage point to help analyze California's wildfires in more detail, as well. The satellite will scan the skies five times faster than the GOES-West satellite it will replace, will have four times the spatial resolution, and use three times as many spectral bands. Besides fire, lightning, and tropical storms, the satellite can also track the influx of charged particles and radiation from the sun called space weather. The satellite will be able to scan each spot below it every 5 minutes, or every 1 minute to 30 seconds on special focus areas — in the latter case, for developing weather events. Together, GOES-S (which will be renamed GOES-West) and GOES-East will be able to focus on four locations to refresh views every minute, or two locations to refresh views every 30 seconds. "Those of us in the severe weather community are really excited about the data we're seeing from GOES-16 [GOES-East]," Kristin Calhoun, a research scientist with NOAA's National Severe Storms Laboratory, said during the conference. "And we're also eagerly anticipating the increased coverage from GOES-S across the United States." At the news conference and at another one held earlier on February 27, NOAA and NASA researchers shared stories of how GOES-East's remarkably clear views have aided in search-and-rescue operations as well as in forecasting. During Hurricane Harvey, for instance, data from the satellite allowed first responders to know when it was safe to go out as the storm's eye passed overhead, rescuing more than 200 people — and when to take shelter just before the back of the eyewall swept back over. During wildfire season in California, people using GOES data were able to warn local authorities about fires before they'd even been spotted on the ground. And just viewing weather events in so much detail makes it easier to learn how they work. "The impact of the visualization, the actual videos, the movies coming out is really visceral," Steve Volz, NOAA's director for satellite and information services, said in the earlier conference. "It allows the researchers to see the dynamics in a way that just looking at numbers just doesn't reveal — the visual impact is remarkable." After the satellite is deployed, it will spend about three weeks making its way into geostationary orbit. After about six months at that latitude preparing its instruments and running checks, it will move to its final vantage point over the eastern Pacific Ocean, taking on the official name GOES-West. GOES-S will complement other geostationary satellites, like GOES-East, as well as polar-orbiting satellites like JPSS-1, which launched last November. 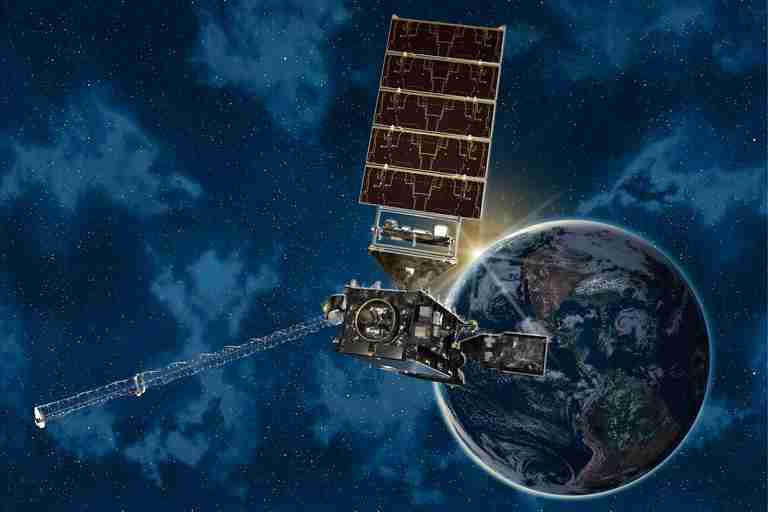 Several other nations share weather satellite data with each other and NOAA to provide more complete coverage. "Every forecast, whether it's one day, two days, three days, out to seven days in advance, depends on sophisticated numerical models, the world's fastest computers and a global observing system," Uccellini said. "And NOAA's satellite data provides the backbone for the global observing system, and is the critical element for weather forecasting in the extended ranges. The geostationary satellite, the GOES series, is a crucial component of today's global observing system." The four-satellite GOES-R program has a total budget of $10.8 billion through its entire life cycle. Development began in 2005, and the program will extend through 2036. The next satellite, GOES-T, is scheduled for launch in 2020.